Most people know 'Super 8' writer-director-producer J.J. Abrams for his television series 'Felicity' (1998-2002), 'Alias' (2001-2006), 'Lost' (2004-2010) and 'Fringe ' (2008-present) and for films like 'Mission: Impossible III' and 2009's 'Star Trek ', but few people know that before he made it big, he was mainly a screenwriter. Up until 1998, his scripts were written under the name Jeffrey Abrams. 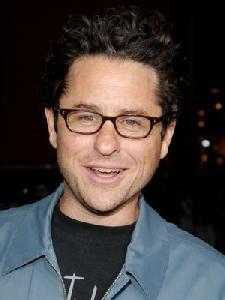 The following is a list of fairly well known titles penned by Jeffrey "J.J." Abrams. Just as they did with me, some of these titles may surprise you. Academy Award winner Mike Nichols ('The Graduate') brought Abrams' drama to life with uber-talented actors Harrison Ford ('Indiana Jones') and Annette Bening ('The Kids Are All Right'). In it, Ford plays an arrogant lawyer who survives a bullet to the head during a random robbery. Obviously suffering from severe brain trauma, he is left without a single pre-shooting memory. 'Regarding Henry' takes you through his humbling journey as he learns of the painful things he did in his past and as he embraces his new, innocent child-like life. 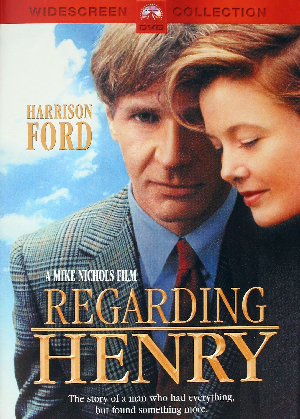 As a teenager, after being blown away by 'The Fugitive' I remember discovering 'Regarding Henry' while trying to catch up on old Harrison Ford films - mind you, this was back when Ford only made good films. Despite having not seen it in over 15 years, I always remember the film with fondness for its tender, intimate story. 'Forever Young' got a bad wrap for being released one year after a film with the same plot - 'Late for Dinner' starring Peter Berg ('Friday Night Lights' director). 'Forever Young' was easily the better of the two. 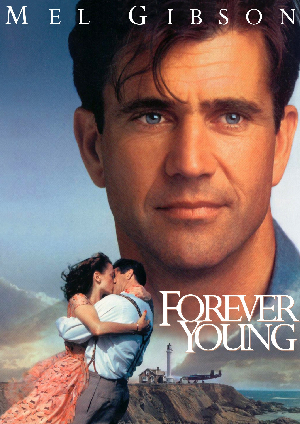 'Forever Young' stars Mel Gibson as a test pilot in 1939 who volunteers for a military cryogenic freezing experiment after his childhood love slips into a coma after being hit by a car. He signs on and tells them to wake him if she pulls out of her coma. Things don't go as planned and the secret program is closed. The sub-zero cylinder that holds Mel is stashed in a warehouse. When Mel finally wakes up from decades of cryogenic dreaming in 1992, with the help of Elijah Wood ('Lord of the Rings') and his mother (Jamie Lee Curtis, 'True Lies') Mel tries to evade the FBI spooks and find out what happened to his love. I have to admit that I've never seen 'Gone Fishin'' in its entirety, just scenes here and there. It is one of those movies that you might catch for a moment while another show you're watching is on commercial break. 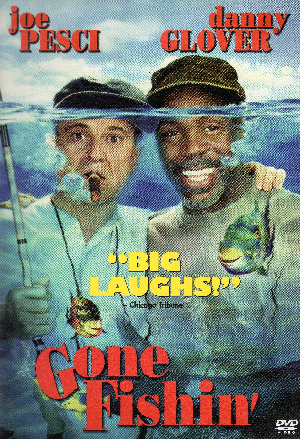 When 'Gone Fishin'' was released, I was past that age where you would mistake terrible movies for good ones - and to me this one stunk! When Joe Pesci (Home Alone') and Danny Glover ('Lethal Weapon') go fishin', wackiness ensues. Aside from the terrible gags, that's all I know about it. Having not seen the whole thing, I cannot critique it entirely. Those of you who have seen it, what are your thoughts? Just as I mentioned in The Bonus View's comment section of the Michael Bay vs. Stephen Sommers poll, 'Armageddon' is one of those popcorn films that completely has me. I own the extended Criterion Collection DVD (why 'Armageddon' is a Criterion title is beyond me) and choke up every time Ben Affleck yells, "Harry, I love you!" For those who despise 'Armageddon', consider it a guilty pleasure of mine. 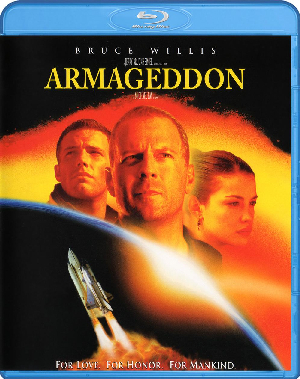 'Armageddon' follows an unlikely oil-drilling team sent into space to land on an asteroid, drill a hole into its core, shove a nuke down it, and blast it to pieces before it collides with Earth and kills our ecosystem. Just like 'Forever Young', 'Armageddon' opened just two month after a film with a similar plot - 'Deep Impact'. 'Armageddon' proved to be the winner of the two, grossing over half a billion dollars worldwide while 'Deep Impact' only brought in $350 million. You may argue that star power caused 'Armageddon' to win the space battle, but I credit the win to its fresh, youthful cast, Michael Bay's crowd-pleasing direction of action, and Abrams' fun screenplay. That's right - I consider 'Armageddon' a "fun" film. This title surprises me more than any other Abrams credit. I remember seeing 'Joy Ride' in 2002, expecting an awful horror movie and getting an intense thriller nostalgic of Steven Spielberg's 1971 TV movie 'Duel'. After reading about Abrams' passion for Spielberg's films and seeing him dedicate an entire film to paying homage to them ('Super 8'), 'Joy Ride' becomes even more fun. Initially not recognizing 'Joy Ride' director John Dahl's name, after checking out his IMDB page, Dahl has some fine accomplishments under his belt. He also directed 'Rounders' and episodes of the series 'Battlestar Galactica', 'United States of Tara', 'Breaking Bad', 'True Blood', 'The Vampire Diaries', 'Caprica', 'Dexter', 'Shameless', 'Justified' and 'Californication'. 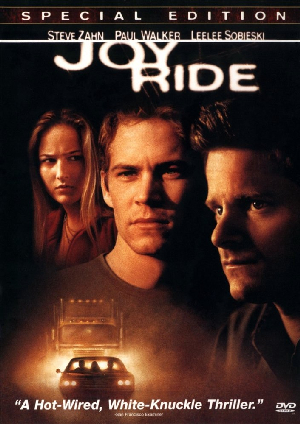 Yes, 'Joy Ride' received negative marks for starring Paul Walker ('Fast Five'), but if you pay attention to the story and script, 'Joy Ride' just might be worthy of becoming your new guilty pleasure. And there we go. Did any of these titles catch YOU by surprise too?